The smoke grenades in these mods will release a cloud that does indeed affect the AI in the game. 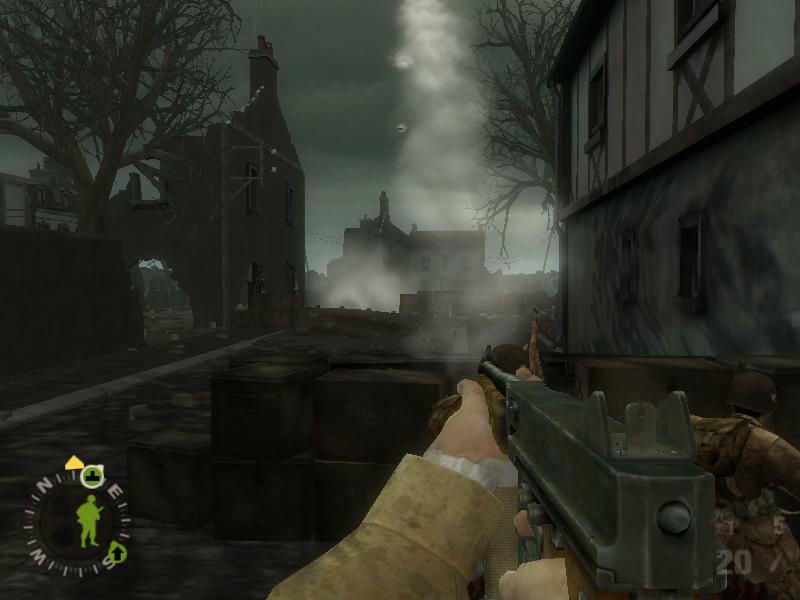 If an enemy is obscured, they will fire into the smoke blindly, with greatly reduced accuracy. Smoke is used for covering squad movements and reducing the effectiveness of suppressive fire. First, you must have the CommandMod (or CommandModBasic) Mutator enabled to for you and your squad to carry smoke grenades. The number of smoke grenades in your gear will depend on the map you are playing, unless you set your loadout manually using CustomLoadouts. A small smoke icon will appear next to your fragmentation grenades on the HUD telling you how many you have left. Some of your squad members will also carry smoke grenades, but it's usually only the Fire Team. To throw a smoke grenade, just hold down the Grenade key for a couple of seconds. Instead of throwing a frag, you will throw a smoke grenade instead. To order your squad to throw a smoke grenade, hold down the Command Ring button, and while holding the Command Ring over the target area, also hold down the Grenade key for a couple of seconds. If they have any left, your squad will throw a smoke grenade at that target area. If you are targeting an enemy unit, your squad will lay down smoke a little in front of them. If you enable the GermanSmoke Mutator, the Germans will also carry smoke grenades. They will use them to retreat, maneuver, or confound your suppressing fire if they are pinned and you are trying to flank them. You don't have to use the CommandMod to use the GermanSmoke Mutator.